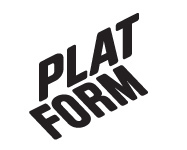 November 2004 – Platform r.f. At the start of the performance I will pull a pair of trousers out from a can of 9L white emulsion paint and put them on, pour the rest of the 9L paint in the middle of a wooden platform then I will stand “motionless” on the platform for the eight hours. In this work, the eight hours focuses on the 8-hour working day, referencing both the work ethic and more mundane everyday chores. It was first performed in Rovaniemi hight street on 30.6.2004. John Court graduated from two art schools in the UK; Camberwell school of Art and Design 1994 and Norwich school of Art and Design BA Honours Fine Art Sculpture 1997. John has been using his body in his performance works since 1996. He began making eight-hour performances based around the eight-hour working day in 1999. His performances often involve additional materials, for example pencil shavings, rubbed pencil erasers, masking tape, paint, pencil leads etc. Some examples of these eight-hour works include walking 230 meters in 8 hours on the world’s northernmost railway (Kirkenes, Norway), rolling on the high street for 8 hours, or standing up motionless in a limited space for 8 hours. John has performed over 150 hours of these eight-hour performances.